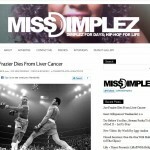 Miss Dimplez.com has become one of the fastest-rising entertainment sites on the internet; updated daily with original content and hip-hop exclusives. Advertising packages include but are not limited to product placement, sidebar, banner, widget advertisements, general advertisement executions, specialized advertisement executions, complete site takeovers, reskins and advertorials. 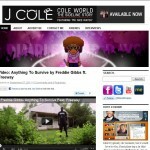 Get YOUR BRAND on MissDimplez.com by emailing info@missdimplez.com for details.